Come hang out with our YEGYouth staff in one of our City of Edmonton Recreation Centres and Community Drop-In locations during the dates and times listed below. We will be offering a hang out space, gym time, board games, arts and crafts and more. This is a free drop-in program for youth ages 13-17. Fall, Winter and Spring programs run from September 10, 2018 to June 14, 2019. Summer programs begin July 2, and finish August 22, 2019. Fall 2019 locations will be announced in late June. Check out one of our West Programs at St. Francis Xavier Sports Centre. At this location we play lots of gym games including badminton, basketball and soccer. If we get tired of playing sports we make out way over to the Bill Hunter Arena Meeting Room where we play video games, hang out or make some art and enjoy a light snack. This summer, you will find our leaders hanging out in and around the recreation centre; ready to answer any questions about the program and hang out with you before the program begins from 12:00 -4:30pm. Join us at the Meadows Community Recreation Centre for games in the gym, arts and crafts, and a light snack. YEGyouth @ the Meadows Community Recreation Centre aims to provide an inclusive space for youth to hang out with our leaders, and enjoy the recreation centre in ways that they may not have experienced before.This summer, you will find our leaders hanging out in and around the recreation centre;ready to answer any questions about the program and hang out with you before the program begins from 12:00 -4:30pm. Abbottsfield Recreation Centre (ARC) is a hub for loads of amazing community programming, and YEGyouth is one of those many great programs! Basketball, floor hockey, and dodgeball are just a few of the activities that you can expect to see at program. Our leaders also provide a light snack while discussing relevant current events or sports news. This location offers a unique experience that only a library can provide and no, we are not talking about just a quiet study space. Our leaders plan some art projects, play board games and enlist the expertise of the Library staff to build capacity on the computers. Typically, you can find our staff in the programming room and outside at the park or in the field. Join us at our South West Location in Terwillegar Community Recreation Centre. This hub for activities is utilized by our program to offer unique experiences for youth that they may not have been exposed to before. You can expect conversations around current events / sports news, gym games like soccer or badminton, video games and art activities. This summer, you will find our leaders hanging out in and around the recreation centre ready to answer any questions about the program and hang out with you before the program begins from 12:00 -4:30pm. We take advantage of all that this beautiful facility has to offer on Wednesday nights! Join us for some games in the gym, a light snack and fun conversations each week. Not only do our leaders plan some great activities in the gym, they also offer some great opportunities to try new art projects, board games and much more. This summer, you will find our leaders hanging out in and around the recreation centre ready to answer any questions about the program and hang out with you before the program begins from 12:30 -4:30pm. This location is not only home to the Edmonton Eskimos CFL team but also to our YEGyouth program on Friday nights! From swimming, to basketball in the gym and soccer in the field house we utilize all corners of the community recreation centre. Join us for a light snack, sports and art activities inspired by your current interests. This summer, you will find our leaders hanging out in and around the recreation centre ready to answer any questions about the program and hang out with you before the program begins from 12:00 -4:30pm. This Program is cancelled on August 9, 2019. YEGyouth provides a safe space for youth to enjoy the Mill Woods Community Recreation Centre and all that is has to offer. At this location we cook, play games in the studio spaces and hang out in the coach room upstairs. Just because there is no gymnasium space does not mean that we do not work up a sweat dancing, swimming and much more! This summer, you will find our leaders hanging out in and around the recreation centre ready to answer any questions about the program and hang out with you before the program begins from 12:00-4:30pm. Join us at the Meadows Community Recreation Centre for games in the gym, arts and crafts, and a light snack. YEGyouth at the Meadows Community Recreation Centre aims to provide an inclusive space for youth to hang out with our leaders, and enjoy the recreation centre in ways that they may not have experienced before. Check out one of our West Programs at St. Francis Xavier Sports Centre. At this location we play lots of gym games including badminton, basketball and soccer. If we get tired of playing sports, we make our way over to the Bill Hunter Arena Meeting Room where we play video games, hang out or make some art and enjoy a light snack. Our program at Lee Ridge starts off in the Community Centre, where we enjoy a light snack, play board games, hang out and do art projects. We head over to the Lee Ridge School Gymnasium for the last hour of programming to blow off some steam on the court. If you enjoy basketball, check out our program at Cardinal Leger Junior High School! Join us at Cardinal Leger to hang out, have a light snack and take the opportunity to tell our leaders what you want to see happen at this program. We always have a good time at Cardinal Leger and invite you all to come hang out and see for yourselves why this is one of our most popular locations. The program is cancelled on March 26, 2019. Join us at our South West Location in Terwillegar Community Recreation Centre. This hub for activities is utilised by our program to offer unique experiences for youth that they may not have been exposed to before. You can expect conversations around current events and sports news, gym games like soccer or badminton, video games and art activities. We take advantage of all that this beautiful facility has to offer on Wednesday nights! Join us for some games in the gym, a light snack and fun conversations each week. Not only do our leaders plan some great activities in the gym, they also offer some great opportunities to try new art projects, board games and much more. This location offers a unique experience that only a library can provide. And no, we are not just talking about a quiet study space. Our leaders plan some art projects, play board games and enlist the expertise of the Library staff to build capacity on the computers. Typically, you can find our staff in the programming room and sometimes outside at the park. YEGYouth provides a safe space for youth to enjoy the Mill Woods Community Recreation Centre and all that it has to offer. At this location, we cook, play games in the studio spaces and hang out in the coach room upstairs. Just because there is no gymnasium space doesn't mean we won't work up a sweat dancing, swimming and much more! This location is not only home to the Edmonton Eskimos CFL team, but also to our YEGYouth program on Friday nights! From swimming, to basketball in the gym and soccer in the field house, we utilize all corners of the community recreation centre. Join us for a light snack, sports and art activities inspired by your current interests. The YEGyouth 124 Street Youth Drop-In Program is a community partnership initiative between the 124 Street Drop-In Association and the City. This youth-driven program provides a positive, fun and skill-building environment for Inglewood, Westmount, Prince Charles and other surrounding areas. This program runs twice a week at the Inglewood Elementary School, where staff utilize the gymnasium, outdoor basketball court and cafeteria for programming. The program will be cancelled on March 25 and March 27, 2019. 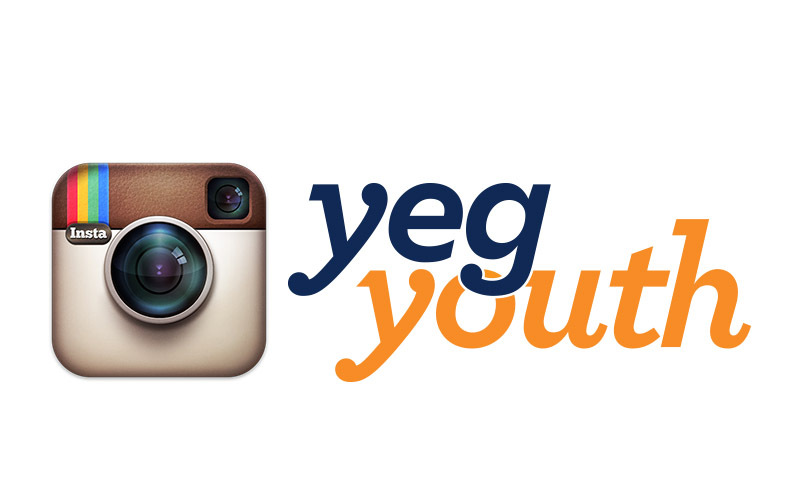 Visit the official Instagram account for City of Edmonton Youth Programs today!